Late April and early May in Maryland. Last updated: 5/11/2009. 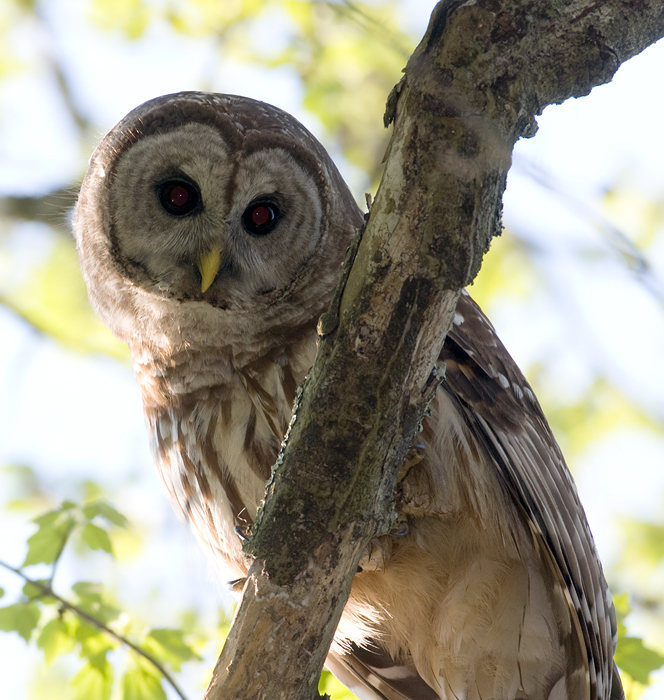 Above: A Barred Owl greets Jim Stasz & Company in a cypress swamp in Somerset Co., Maryland (5/11/2009). 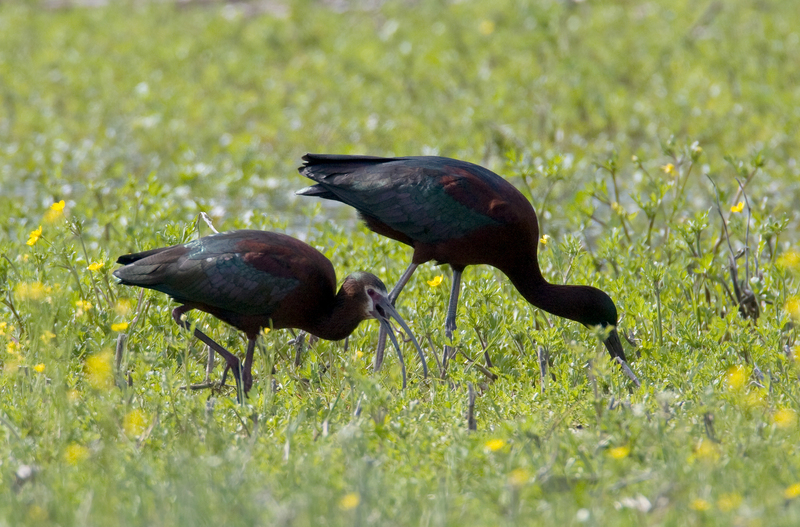 Below four: A White-faced Ibis forages in a flooded field in Berlin, Maryland (5/11/2009). Thanks to Stasz and Ron Gutberlet for finding this excellent Maryland rarity (maybe two different birds), and to Stan Arnold for relocating it at a new location on this date. It was my first in Maryland! 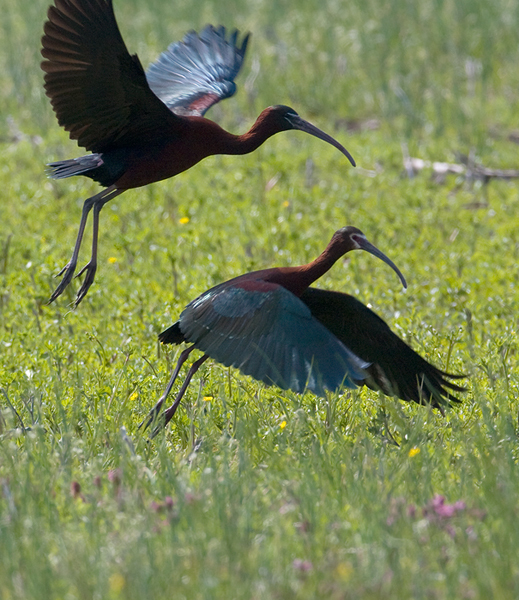 Click the image below for a closer look at the feast being enjoyed by the ibis. Tossing back earthworms! 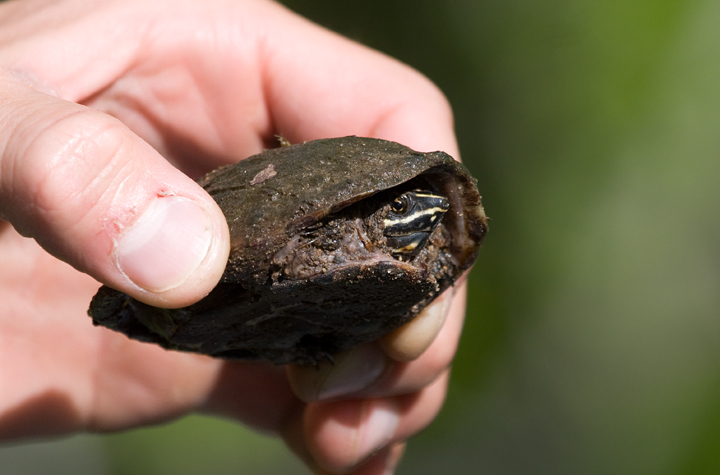 Below: A Musk Turtle, or Stinkpot, in Charles Co., Maryland (5/9/2009). 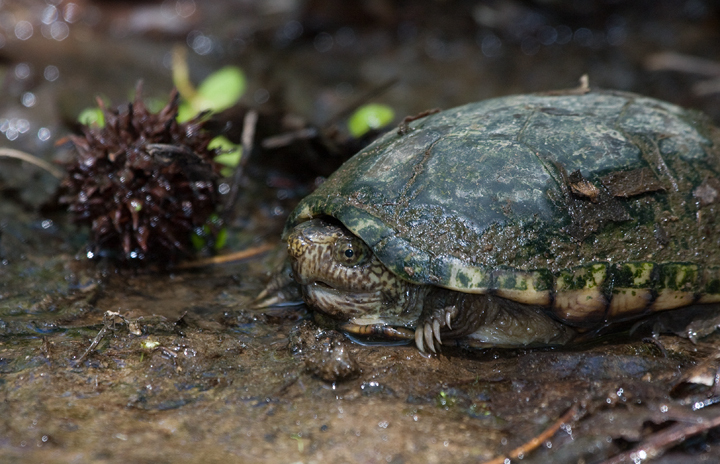 A nice find by Mikey Lutmerding while we were covering the Nanjemoy area for the Charles Co. May Count. Its names refer to its habit of releasing a fowl odor from special glands when it feels threatened by potential predators. 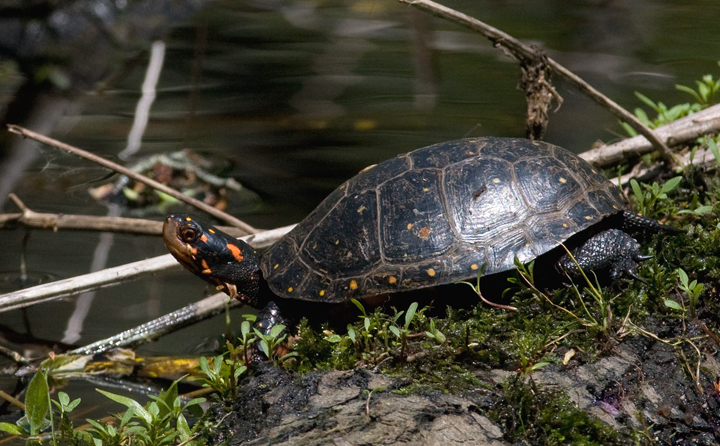 Below: For comparison, here is the species I encounter much more regularly in Maryland, the Mud Turtle (Nanjemoy, 5/9/2009). 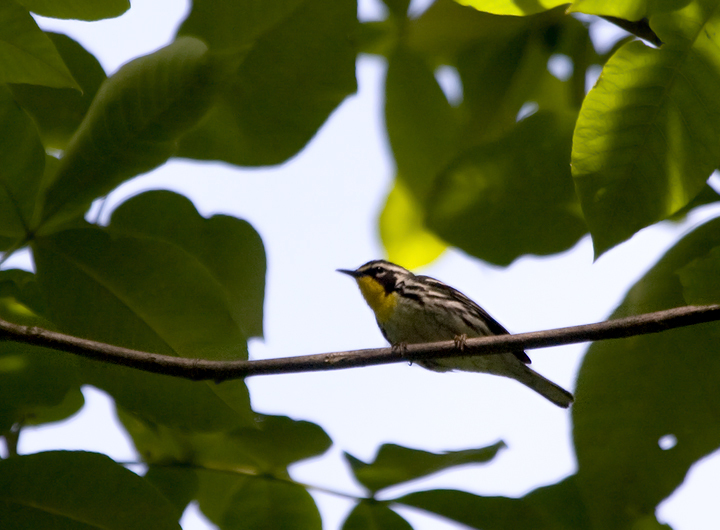 Below: A typical dominica Yellow-throated Warbler in Charles Co., Maryland (5/9/2009). Note the yellow lore, the yellow throat with no white 'chin,' and the long bill. 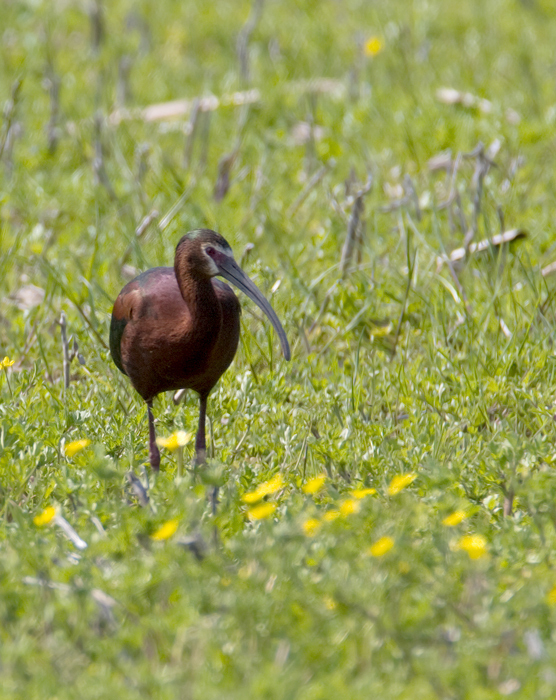 This bird was singing on territory in the Nanjemoy area of Charles Co., Maryland, where it is the expected breeding subspecies (5/9/2009). 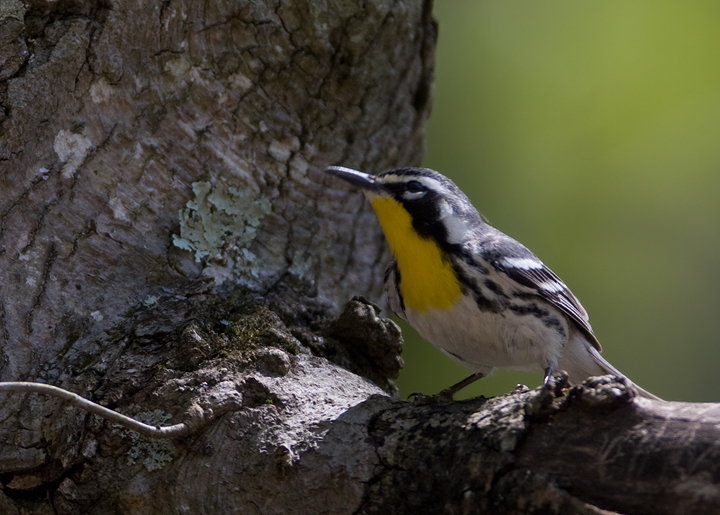 Below two: A Yellow-throated Warbler photographed in the Nassawango area of Wicomico Co., Maryland (4/26/2009). This individual first attracted our attention as it was gathering spider webs from tree trunks as nesting material. While studying it, we noted that it had white lores, which are associated with our western shore, sycamore-loving subspecies, albilora. 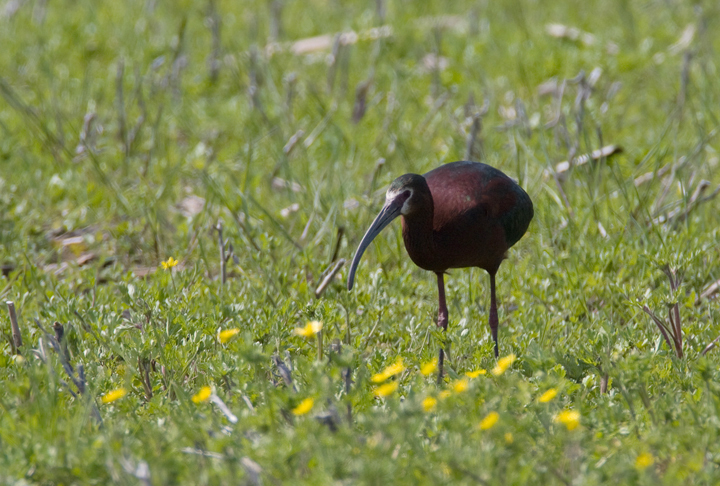 Review of the photos showed that the bird had an exceptionally large bill, which is associated with the dominica subspecies (especially so on the Delmarva Peninsula). Consensus when I sent around these photos was that it was the exception to the field mark rule--a white-lored, white-chinned dominica. As is nearly always the case, structure trumps plumage. Exceptions might be more common than expected. 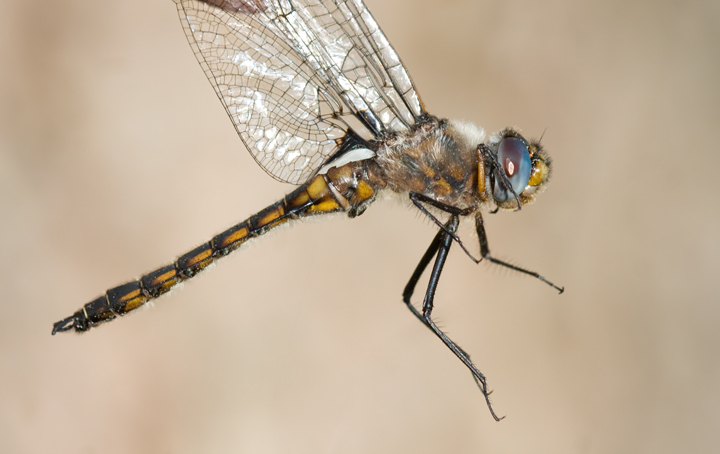 It seems that field identifications to subspecies are not always safe. 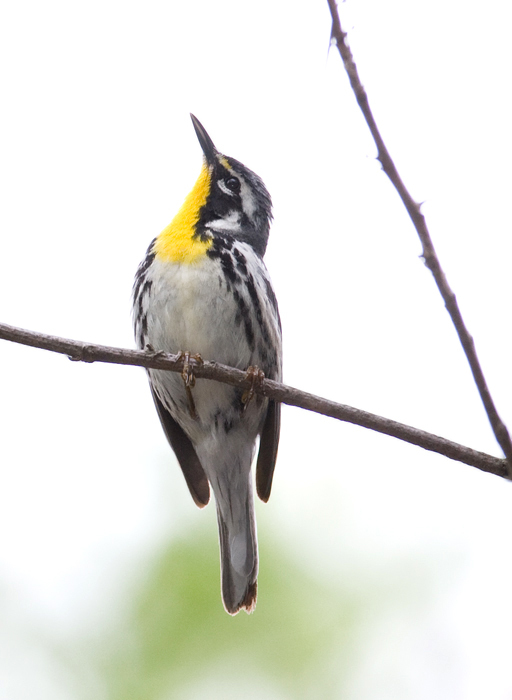 Below: Here is another Yellow-throated Warbler photographed in the Nanjemoy area of Charles Co., Maryland (5/9/2009). While the expected subspecies here is dominica, this bird has what appears to be a tiny bill. That said, it does show some yellow in the lores and does not show a white chin. 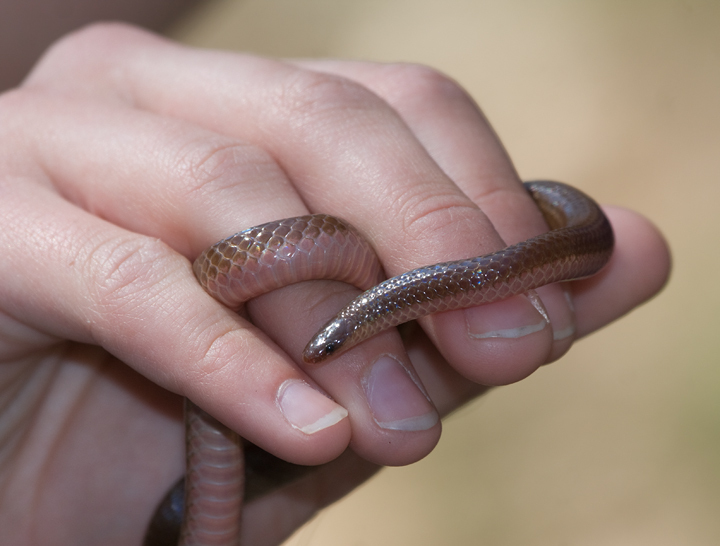 Below: An Eastern Worm Snake in Wicomico Co., Maryland (4/26/2009). Thanks to Tom Feild for the find and Betsy Bangert for the snake modeling. 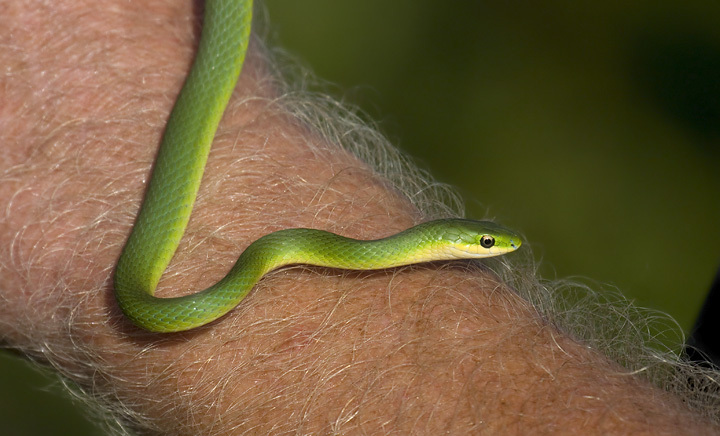 Having a female hand model holding our reptilian subjects was a novel change! There's something more elegant about the photo below than this one (photo). 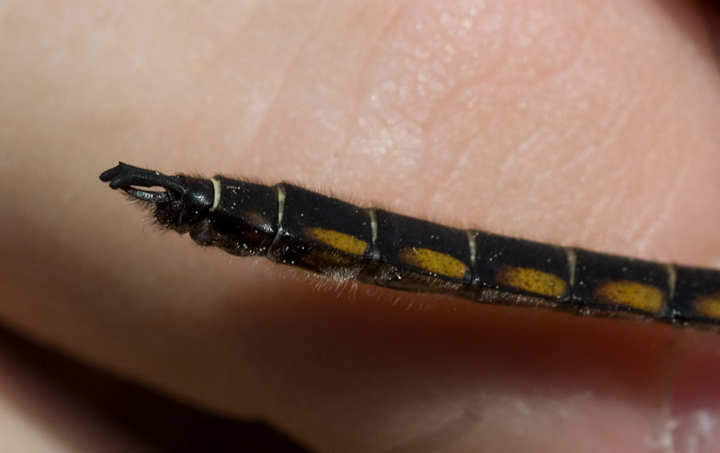 Below two: A great find by my odonate mentors Jim Brighton, Jim Stasz, and Hans Holbrook - what appears to be the Eastern Shore of Maryland's first record of Robust Baskettail (Worcester Co., 4/26/2009). Click the first image below to view a larger size image. 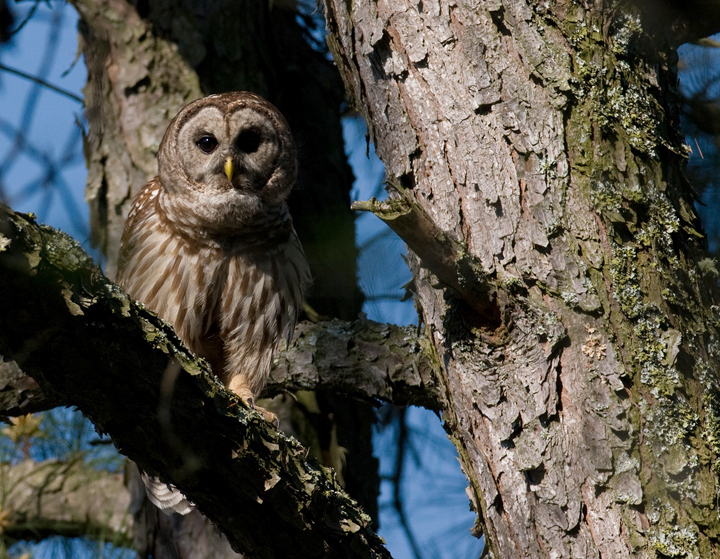 Below: Another shot of a Barred Owl in Somerset Co., Maryland (4/26/2009). 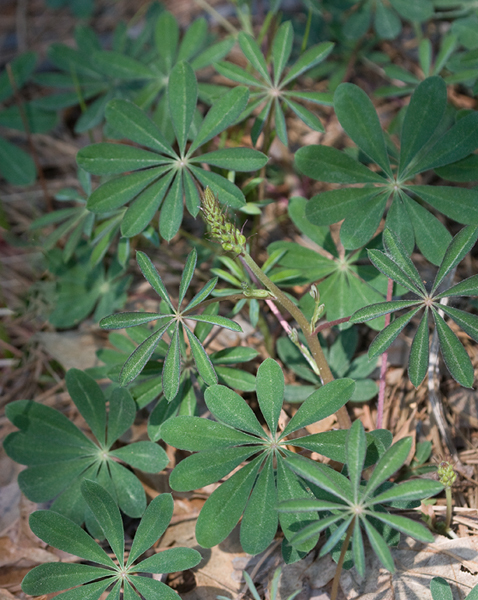 Below: Lupine growing along a road in the Nassawango watershed, Wicomico Co., Maryland (4/26/2009). 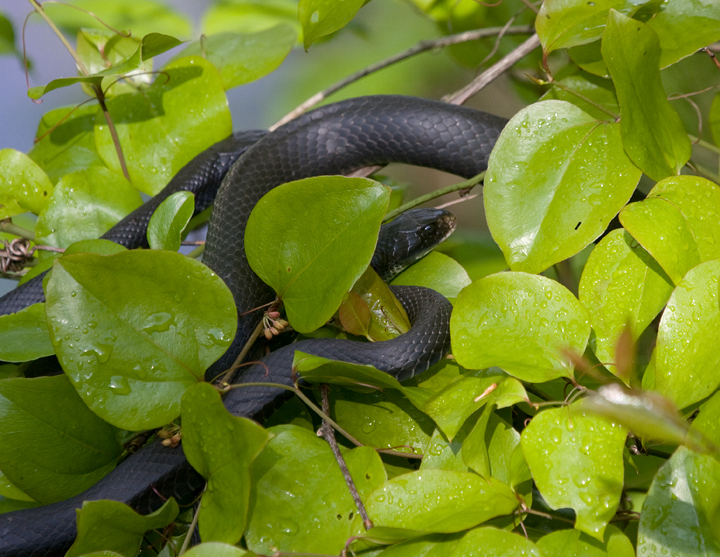 Below: A pair of Northern Black Racers sunning in a greenbriar patch in the Nanjemoy area of Charles Co., Maryland (5/9/2009). 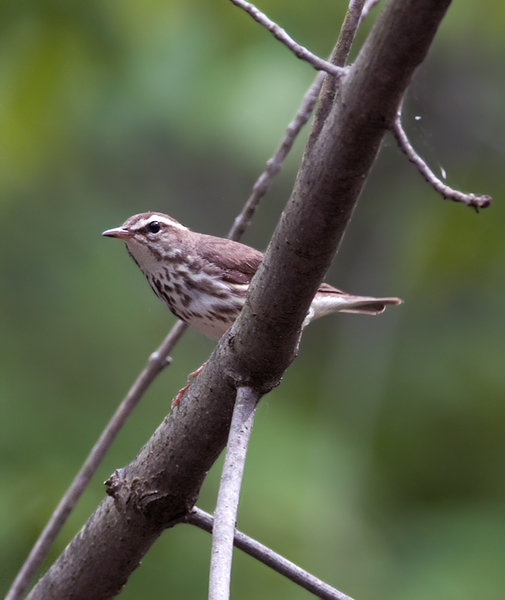 Below: A Louisiana Waterthrush in the Nanjemoy area of Charles Co., Maryland (5/9/2009). 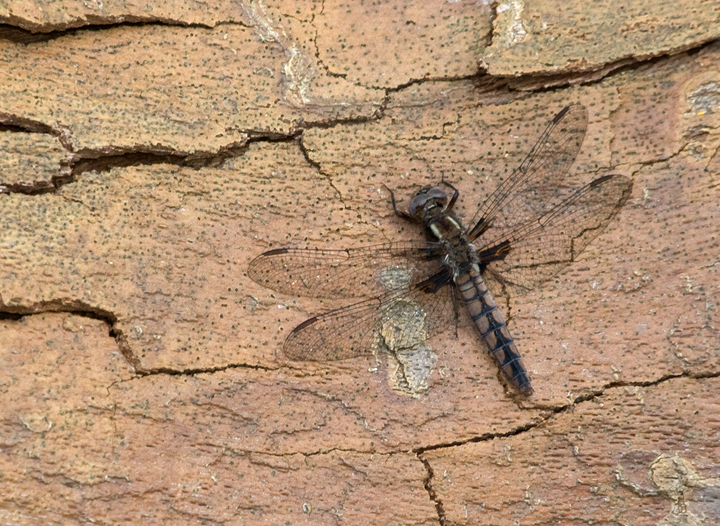 Below: A female Blue Corporal in the Nanjemoy area of Charles Co., Maryland (5/9/2009). 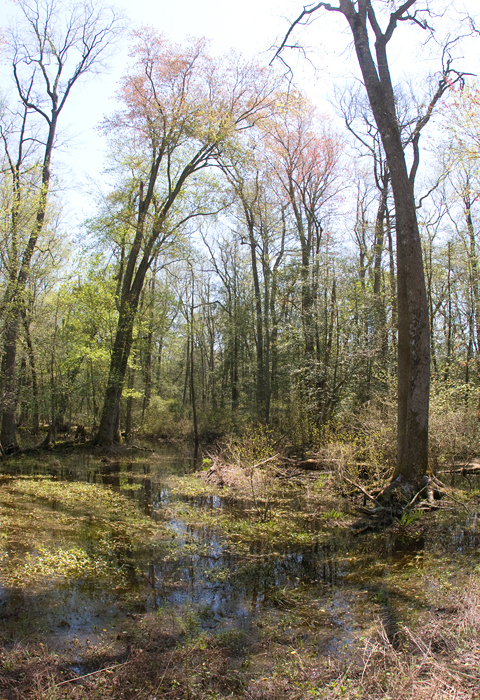 Below: Lovely cypress swamp habitat in the Nassawango area of Wicomico Co., Maryland (4/26/2009). 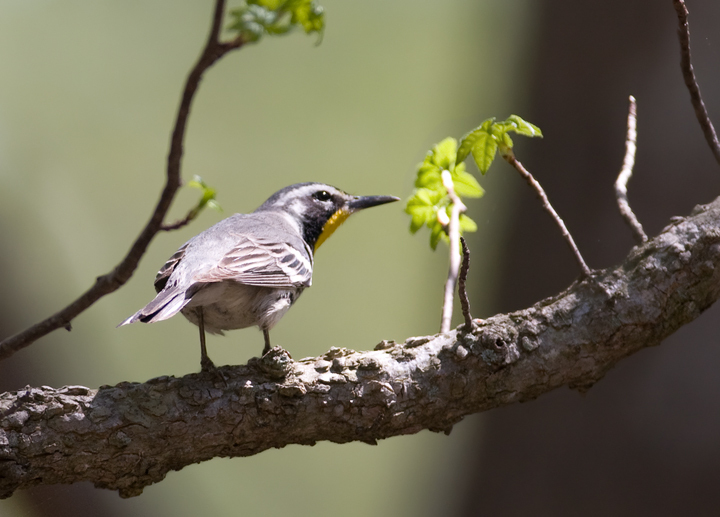 This habitat is home to many breeding warbler species including Prothonotary, Yellow-throated, Kentucky, American Redstart, and Louisiana Waterthrush. An Eastern Kingsnake was found at this location by some of the gang on the previous day. 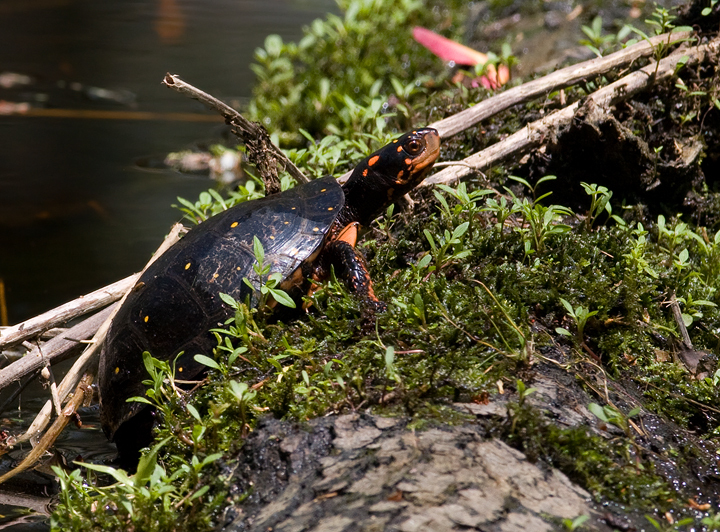 Below: A beautiful Spotted Turtle sunbathes at a stream crossing in Wicomico Co., Maryland (4/26/2009). 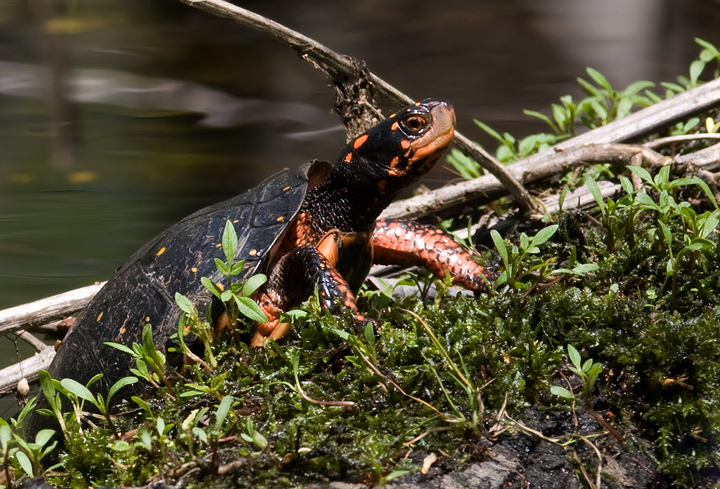 This stunning find by Hans Holbrook was actually my first Spotted Turtle on Maryland's Eastern Shore. 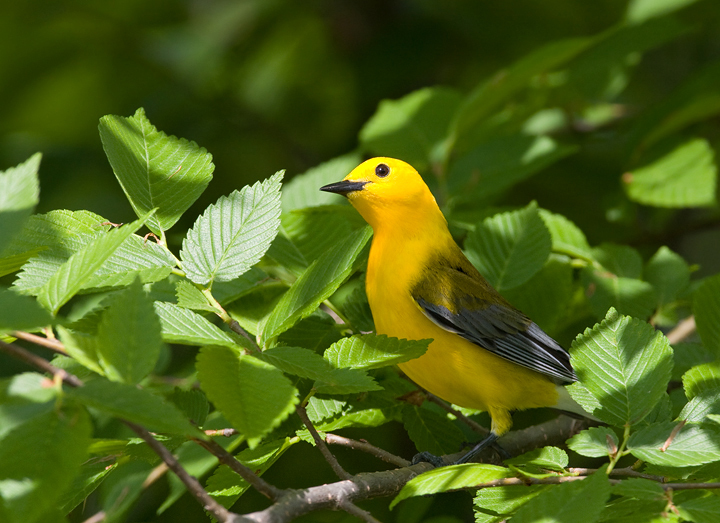 Below: A gorgeous Prothonotary Warbler in the Nanjemoy area of Charles Co., Maryland (5/9/2009). 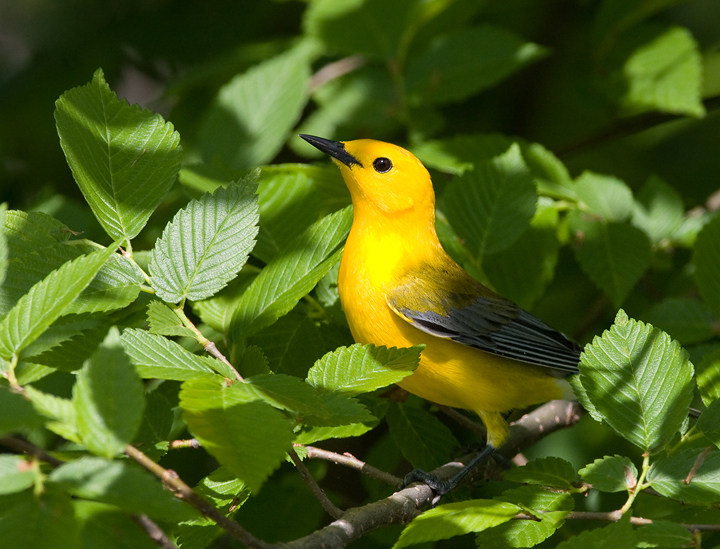 Once again it is clear why this species was once more appropriately known as "Golden Swamp Warbler." 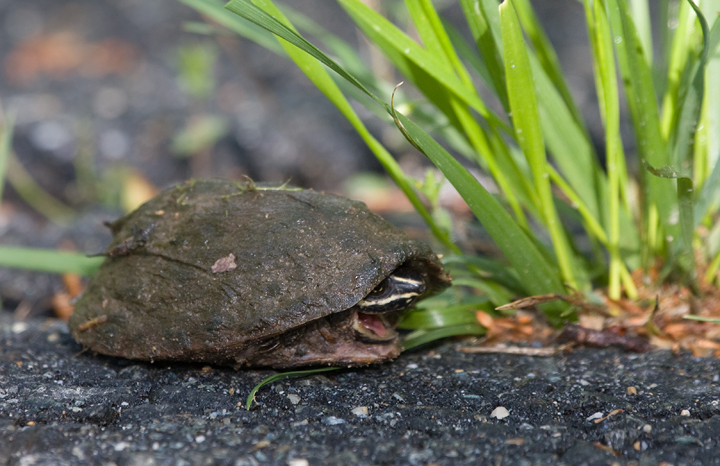 These two images are dedicated to Jerry Tarbell, whose elated descriptions of his encounters with this species are an important sign of spring in Maryland.